Very well maintained immaculate two floor condominium. 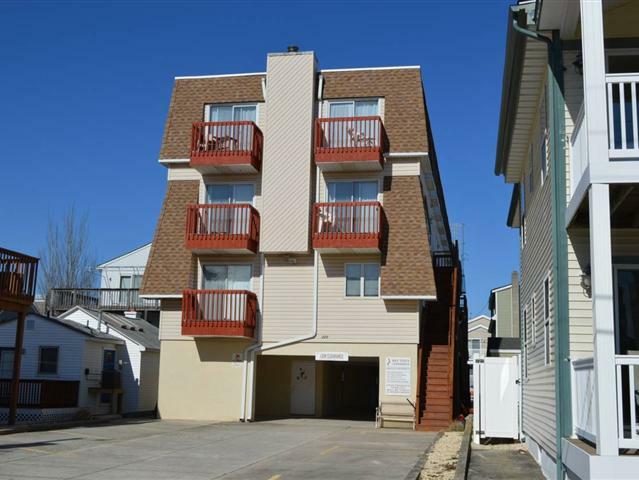 This unit features 3 Large bedrooms, 1.5 baths with beautiful bay views!! Two bedrooms have Queen beds and the third bedroom has two twin beds. Some of the amenities include Central Air Conditioning, Fireplace, off street assigned parking for 1 car and a Outside Shower. Off street parking located under the building. It is the first spot past the center stair tower. Use the inside steps in this tower or the outside stairs to access the unit depending on preference or weather. Only a short walk to the beach, bay, shopping and restaurants. Close proximity to TI Yacht Club and Sunset Pier. What an ideal location for your second/vacation home at the shore. Call Today don't Delay.